Algerian death/tech metal band, Lelahell, have launched an Indiegogo campaign asking for help in funding the release of their second concept album Alif. Read the full press release below. Support Lelahell by donating through the Indiegogo campaign, and follow them on Facebookfor future updates. 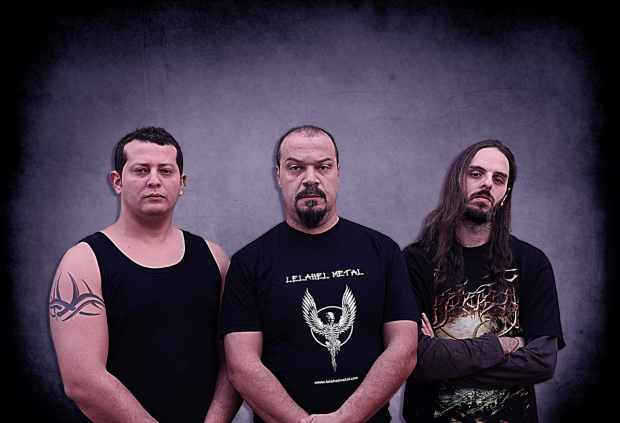 Founded in 2010 by metal veteran Redouane Aouameur, Lelahell is an Algerian death metal band hailing from Algiers. The trio comprises of Redouane “Lelahel” Aouameur (guitars, vocals), Ramzy Curse (bass) and Slaveblaster (drums). Lelahell have released one EP, Al Intihar(Goressimo Records, 2012), and one full alubum, Al Insane… The (Re)birth of Abderrahmane(HPGDP, 2014). The band also launched a documentary in 2016 titled Highway to Lelahell – An Algerian Metal Documentary, available for streaming on YouTube, presenting viewers with a solid history lesson on Algeria’s metal scene. The band have also embarked on three European tours, and also participated in festivals in Europe.